Sometimes when considering a place to visit, it’s OK to be greedy. After all, who can pass up the appeal and laid-back ambience of a small town with the ease of access to all the big city has to offer? That’s exactly what you’ll get in Cedar Hill, a charming community situated a few minutes southwest of Dallas that has much to offer lovers of the outdoors and those who just want to get away. Hike countless miles of scenic trails, explore a gorgeous state park, and discover the wild side of North Texas at a one-of-a-kind Audubon center. Pair Cedar Hill’s pristine nature with its great dining, shopping, architecture, and history and you have yourself a Texas destination any traveler can fall in love with. Read on to discover a few of the many things to do in Cedar Hill. When you visit Cedar Hill there’s no doubt you’ll be impressed with how much attention this city pays to preserving and celebrating its beautiful natural areas. There are 32 parks with more than 36 miles of trails here, as well as a system of greenbelts that cover about 2,480 acres. Needless to say, it’s easy to spend some time in the great outdoors in Cedar Hill. Download The Trails of Cedar Hill app while you’re here to guide you through the trail system. With so many connecting pathways, you can hike, bike, or run for as long as you like. There are even more trails to explore at Cedar Mountain Nature Preserve and Cedar Hill State Park. The well-developed pathways in both areas take you through various ecosystems and provide up-close looks at a variety of flora and fauna. Throw an overnight bag in the truck, roll your windows down, put on a Pat Green album and head to Cedar Hill State Park for a rejuvenating weekend. Two ecosystems — rolling tallgrass prairie with black clay soil and rugged limestone escarpment — converge in this Texas state park’s 1,826 acres that makes you feel like you are in the Texas Hill Country but with a gorgeous view of the Dallas skyline. Wander along the many trails in Cedar Hill State Park and keep an eye out for painted buntings (May through August), yellow-billed cuckoos, great horned owls, raccoons, and armadillos. Choose from the many hiking and biking trails that range from 0.54 miles to 12 miles. Cool down from a long day hiking with a dip in Joe Pool Lake in the park, or take your boat out for an evening of fishing and spectacular sunset views. 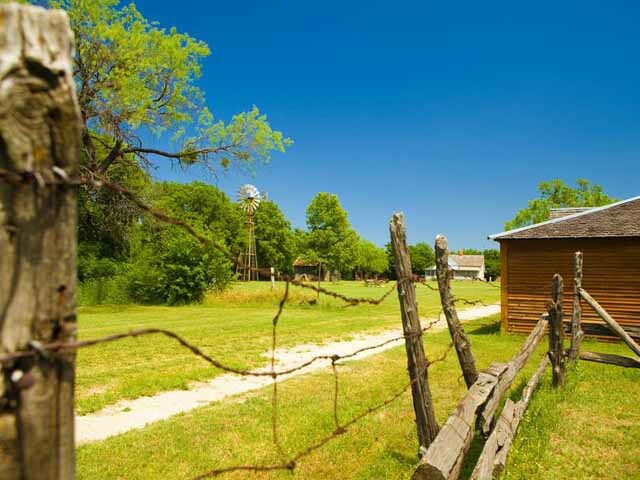 Be sure to visit the Penn Farm Agricultural History Center for an immersive lesson on Texas farming history. Pack a cooler full of Dr Peppers and a bucket of that famous fried chicken from Babe’s Chicken Dinner House and head to Joe Pool Lake for some fun in the sun. Joe Pool Lake, inside Cedar Hill State Park, is one of the town’s biggest draws. Leap into the cool water in one of the swimming areas, then find a shady spot to savor a picnic. If fishing is your game, you’ll want to bring your gear as bass, catfish, and crappie live here in abundance. You can buy live bait, gas, snacks, and your fishing license at the Joe Pool Marina. Meanwhile, boat ramps provide access for larger craft, while kayaks (and mountain bikes) can be rented from Live Adventures. When the sun sets and you’re all tuckered out from a day’s worth of adventure, pitch a tent at one of the camp sites and rest well. After all, there’s a lot more to experience. Although Cedar Hill is a true outdoors destination, you’ll find those comfortable hiking shoes of yours just as handy as you take the 2.2-mile Historic Downtown Cedar Hill Walking Tour. Discover the town’s past through its historic architecture that you’ll see on the tour. You’ll visit places like the Southwest Corner Gallery that was once a bank, robbed in 1932 by a sidekick of the notorious Bonnie and Clyde, and the ornate Gingerbread House, believed to be the oldest structure in Cedar Hill. Begin or end your tour at the Cedar Hill Museum of History, where rare photographs and artifacts bring the stories to life. On display is also the largest fossil ever found in Dallas County that was once a 50-foot long sea lizard. Treat yourself after all that walking to delicious local fare like chocolate bourbon pecan pie cupcakes at Cupcake Company or a toasted coconut latte at White Rhino Coffee. Dogwood Canyon Audubon Center is the ideal spot to go birding in Texas with more than 200 acres of Audubon-managed forest habitat for a wide range of species, plus a 6,000-square-foot Audubon Center. Part of the White Rock Escarpment, animals and plants from east, west, and central Texas can be found in Dogwood Canyon, home to a larger variety of rare species than anywhere else in North Texas. While you’re exploring Dogwood Canyon, you might be lucky enough to spot a rare black-chinned Hummingbird of West Texas nesting in a flowering dogwood tree. Life slows down as you walk past the fragrant dogwood trees dancing in the North Texas breeze along the many Dogwood Canyon Trails. The lists of birds spotted here goes on and on, so keep your eyes peeled for painted buntings, yellow-rumped warblers, American goldfinches, and little blue herons. Experience for yourself why a visit to Dogwood Canyon Audubon Center is a must for nature enthusiasts and those who love to be outdoors.